It looks just like Greenwich! 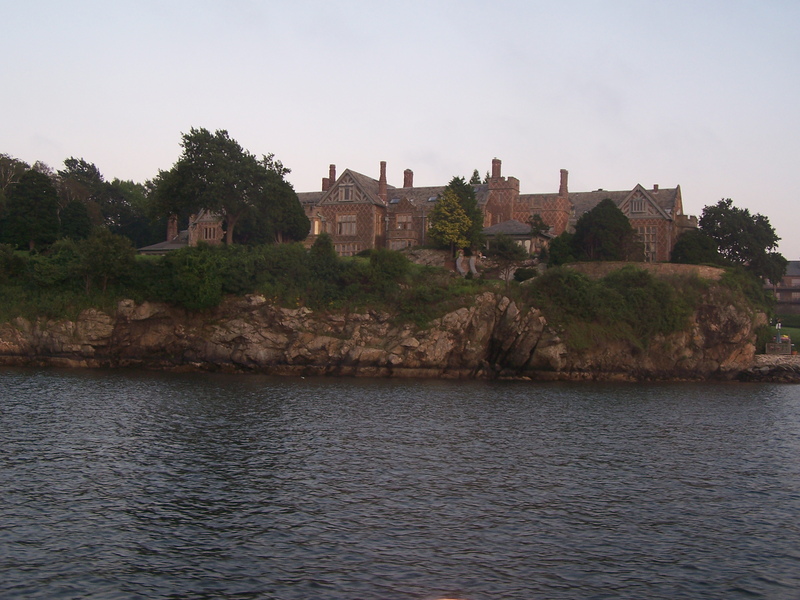 I went to Newport RI this past Saturday to visit my Dad and Robin. He was in town for a Total Marine Rendezvous. 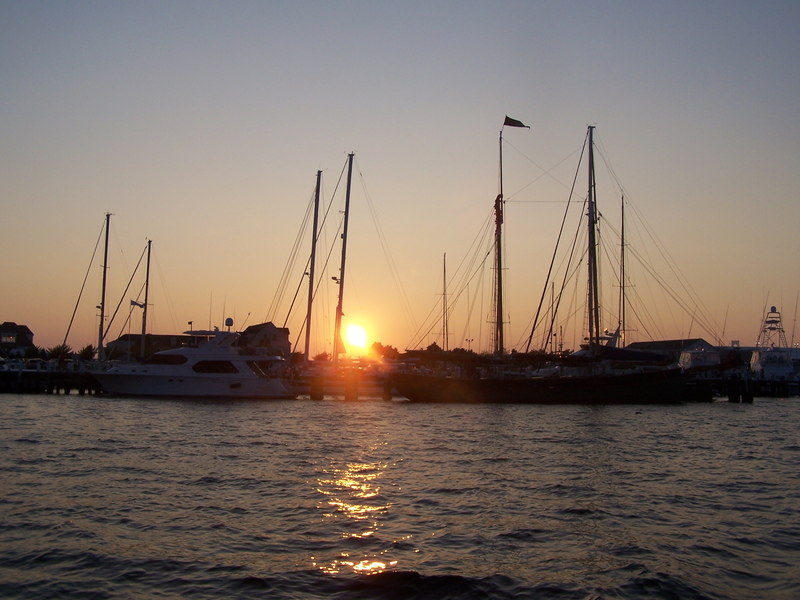 We ment for dinner and a sunset cruise around the harbor. Eating lobster is really the once acceptable time to use a bib past the age of 1 1/2. You must embrace every opportunity! 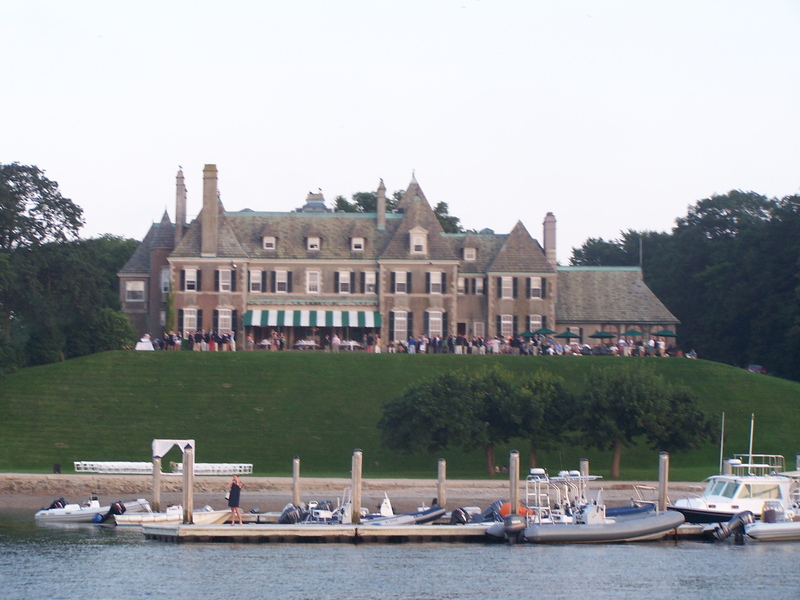 There is something comforting and familiar about getting a guided tour on the water of the mansions on the water. Ahh it reminds me of all the homes in Bell Haven and Indian Harbor back home. Do you need a house that has a dining room table that seats over 120 people?